At Nichols Realty, we offer a hands-on approach when it comes to home buying and selling as well as investing in real estate. It is our mission to make your entire experience a valuable one. Nichols Realty brings 15 years’ worth of experience into the real estate marketplace. In 2016, we earned Keller Williams’ coveted gold award for production and the Masters Club Award. In 2015, we earned Keller William’s silver award and the Masters Club Award again. We are honored to have received this recognition and strive to stand out as a leader in technology and implementation to meet your real estate needs through our cutting-edge marketing skills and abilities. We know home buyers are always seeking a better, easier way to find their dream place. And yes, the tactics that have worked for so long remain effective to a degree, but these are different times. Changing times mean changing out technology to improve our efficiency rating and your results. Don’t you want to work with a realtor with a modern-day view of the real estate business AND one who can get you into your new home quickly? Nichols Realty is the answer to your home buying needs. Backed by a strong team of experts and led by Mike Nichols, our company scours the Sacramento area looking for the best deals. We remain dedicated and intricately involved through every step of the home-buying process to erase your worries and fears. When you hire an expert, you can relax and leave the details to us. The difference between us and the other guy? We close deals. We don’t just talk about them. Our results come from tapping into a wellspring of innovative marketing strategies, and it’s why Nichols Realty can consistently go above and beyond the competition. We not only stay ahead of the curve in the real estate business; we set it. By the way, Mike is a native of Sacramento. Yes, he’s one of those guys who has walked the streets of this vast California town. Always learning and growing, Mike’s a lot like the real estate market. Through the use of his own technological background, Mike applies unique and up-to-date marketing strategies to improve communication, accuracy, and streamline your transaction. 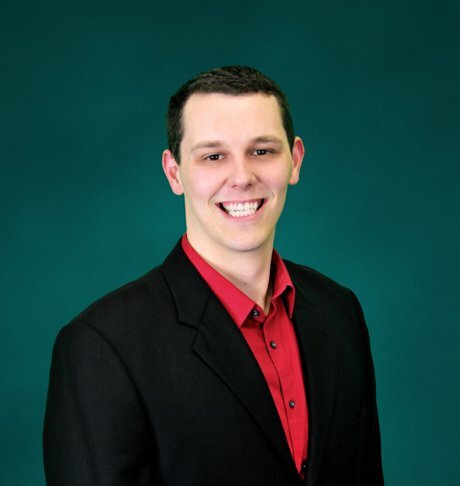 In addition to his thorough understanding of the local market, Mike also knows the value and benefit of working hand in hand with his entire team. Why? Because a unified team always provides a higher level of service to clients. There’s no two ways about it. From home selling, home buying, or managing real estate investing, Nichols Realty knows the ins and outs of the systems needed to succeed. One of our key mantras is to prevent as much stress to our clients as possible. This is why “The Nichols Way” works. Our involved approach cultivates a deeper relationship with our clients. And we spend the time we need with each home buyer or seller because we really do care about your concerns. Do you know what type of home fits your needs? Maybe you have a big family who has outgrown the house you’ve called home for years? Are you looking to downsize since becoming “empty nesters”? Maybe you dream of your first home, the one that’s started in your dreams? If you are having a difficult time figuring out what you want in a home, let us help you. We’ve seen miracles happen and we’d like to think we’ve helped create a few, too. Our team has been trained to provide the same great in-office experience for any client, both those who we have the opportunity to meet in person and our remote clients, who may be looking to move to Sacramento and its surrounding areas in the near future. Let’s get to work on making those home dreams come true. Take a few minutes, look around our website, and check out its features. Then make sure to get our mobile app right HERE. It’s customer-customized with all the resources you want...just for your pocket or purse! You have a need. We have a team at Nichols Realty ready to help. Let’s go. Are you looking for even more real estate resources? Did you know you are just one tap away from accessing more real estate resources on your smartphone? Nichols Realty’s free app offers information on home buying and selling, mortgage calculators, reviews and testimonials of our work, school ratings, videos and a whole lot more. We put a lot of time into designing the perfect customer-customized app to ensure your greatest service experience yet! Did we mention you can even find info on wine tastings? Go ahead and click HERE or text “home search” to 31996 and download our free app right now!